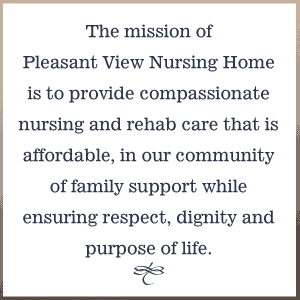 to financially support the mission of Pleasant View in serving the elderly in our Community. to be a Friend in the truest sense of the word as you help, support, and promote the well-being of Pleasant View’s residents, now and for the future. to raise the resources needed to add amenities, increase opportunities, and bring enjoyment into residents’ daily lives.